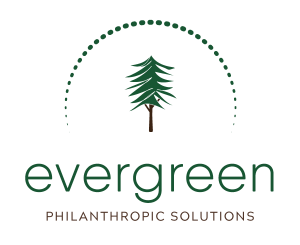 EVERGREEN HELPS CLIENTS ACHIEVE THEIR PHILANTHROPIC GOALS. Leveraging 25 years of experience in the philanthropic sector, we employ best practices and custom strategies for our clients’ unique needs. Evergreen is about achieving results to transform lives. We work with large and small non-profits, counsel high net-worth individuals on how to make meaningful investments in causes that are important to them, advise foundations on how to overcome organizational challenges, and work with private sectors companies to craft strategies for engaging with important constituencies on topics of shared importance. Have a question? Send us an email and let us know what you are thinking. Email us.